The only pumpkins I’ve ever managed to carve were ones with foolish grins and crooked smiles. 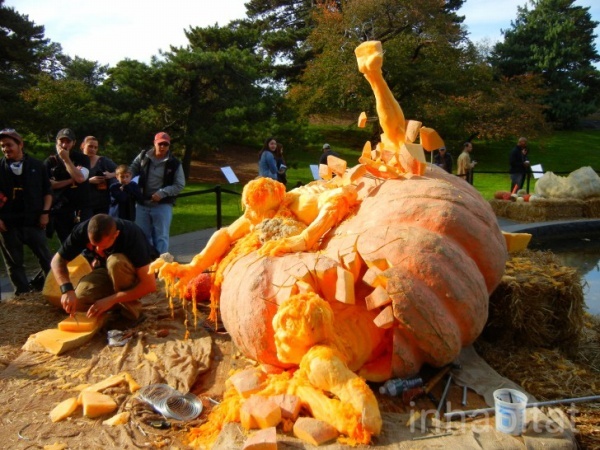 And I used to think they were pretty decent, until I saw what Ray Villafane managed to do with his pumpkin. Working with regular-sized pumpkins is already enough of a challenge for most people. 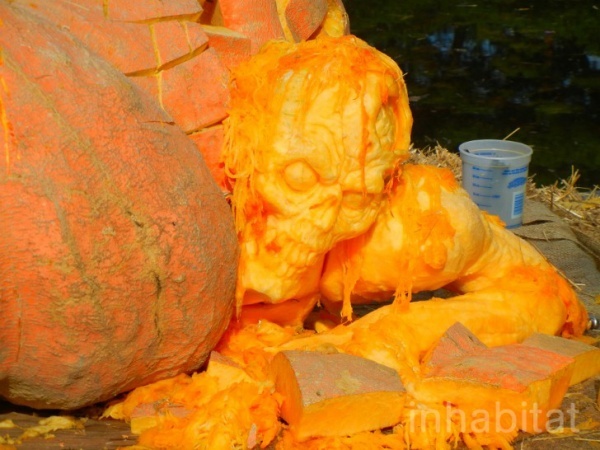 But Ray did a more than spectacular job carving these creepy zombies and demons bursting out from their pumpkin grave from the world’s largest pumpkin. And when we say “world’s largest,” we really do mean the world’s largest and heaviest, as it weighed in at 1,818.5 pounds. 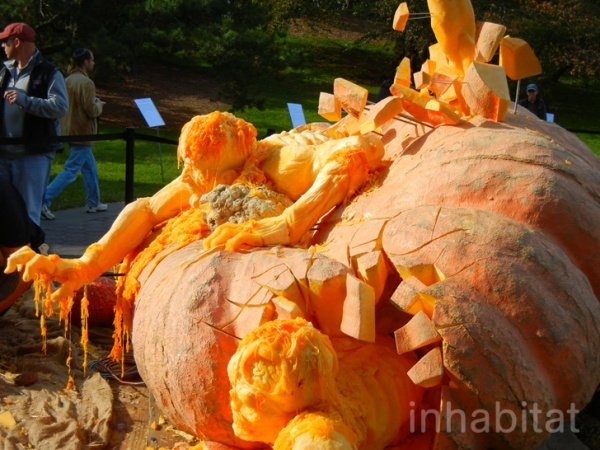 The giant pumpkin carving will be on display at the New York Botanical Garden until month’s end so drop by and take a few shots, if you happen to be in the area.